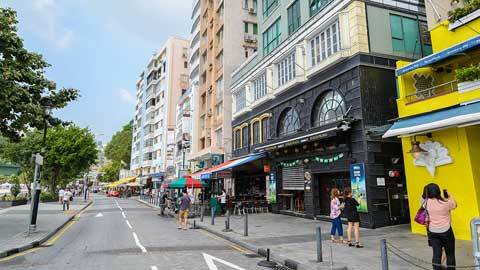 The former British colony of Hong Kong embraces the East and the West, together. 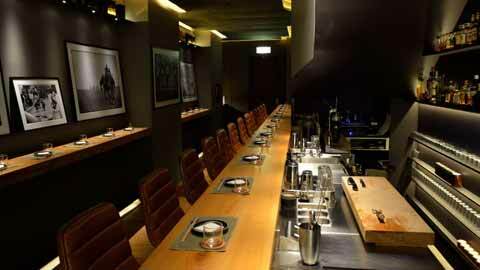 The cosmopolitan appeal of the place will certainly overwhelm you as you get to savor the best of both the worlds. The skyline of this well-known global financial hub is studded with various skyscrapers and a trip to the highest peak will certainly give you a sensational experience. This fascinating little region is also a fabulous shopping center and you one trip to this place is certainly not enough. Whilst the bespoke tailoring markets and the fishing villages will give you a feel of the authentic oriental appeal the Temple Street Night Market will pamper you to the core. From the mind-boggling peaks to charming ocean-view, Hong Kong has many spectacles to offer to its guests. 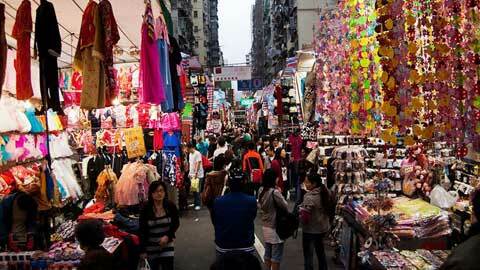 This dazzling nighttime market in Kowloon is certainly a major attraction in Hong Kong. Considered to be one of the largest and certainly the most vibrant market in the Eastern Hemisphere this marketplace will offer you a chance to browse through the most exotic electronics products in entire Asia. The range of the items will certainly tempt you to make many purchases as apart from the gadgets you can also buy food, clothes, and many other items. The lane on which the market is held is always glittering with lights and you can also hear some Cantonese opera is performed outside the Tin Hua Temple. 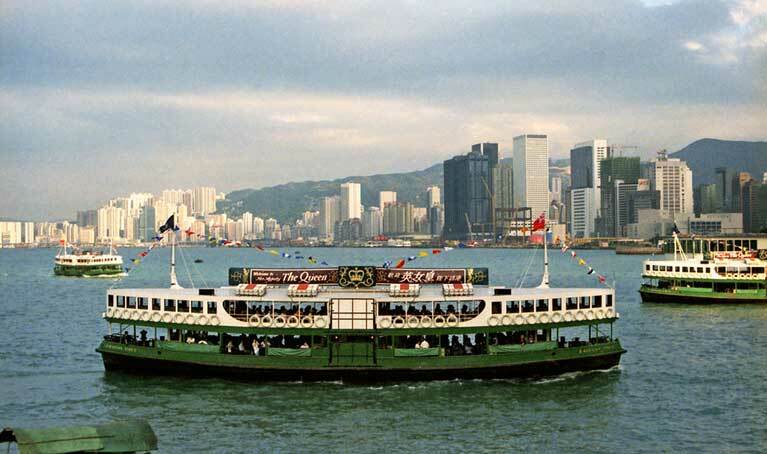 Hong Kong is known throughout the world for its famous Star Ferry which started back in the 1800's. 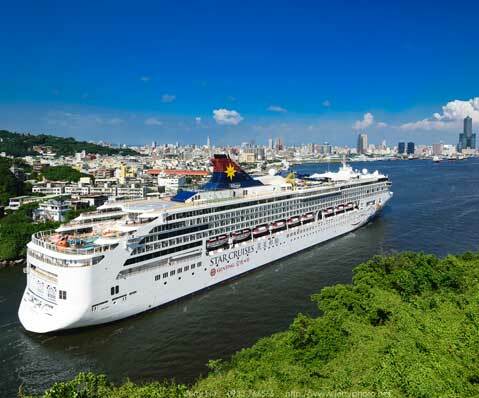 This cruise ride will take you down the famous Victoria Harbor where you can rejoice the various views of the green mountains scattered around in the forms of islands down the main channel connecting the Tsim Sha Tsui to the Central. 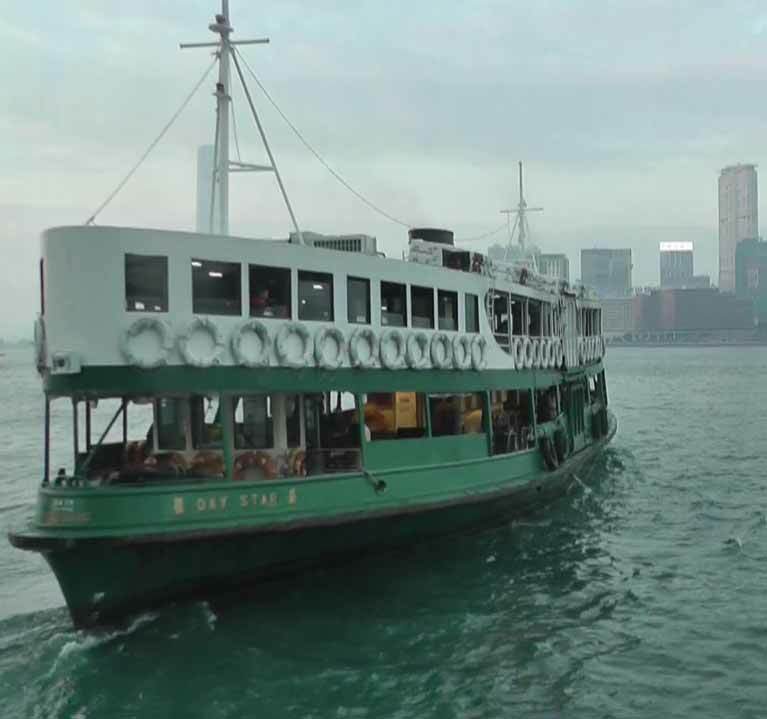 The best part of the Star Ferry is that you do not need to schedule a ride in advance as there are many rides taking passengers from one end to the other. The evening trips are even more appealing as you can watch the nightly laser shows happening. This temple in the Kowloon district of Hong Kong was built back in the 1920's for the worship of a local Chinese God Taoist god Wong Tai Sin who is believed to bring good luck and help in the recovery from various ailments. The complex architecture made from several buildings lures many tourists as the most famous of them are Hall of Three Saints and the Good Wish Garden. The place itself has a very mystic appeal as you can find many fortune tellers lining up in the hall and the tranquil spirit will completely engulf you and will certainly win you over. No list of Hong Kong's top tourist attractions can be complete without the mention of the fabulous Victoria Peak. 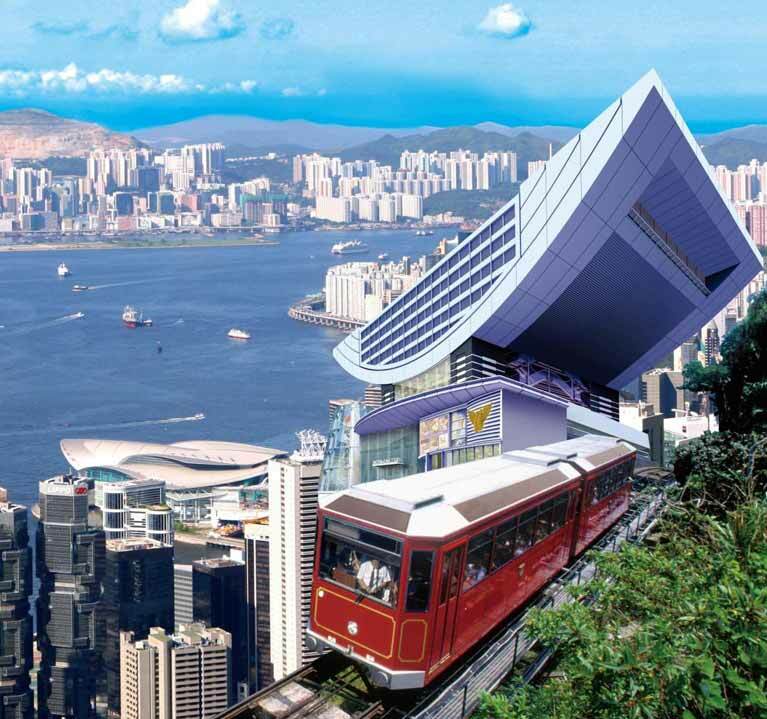 This enchanting tram ride to the top of the hill will allow you see the entire region of Hong Kong along with the sea. You can see the surrounding islands all scattered on the water whilst the high skyscrapers appear to be tiny boxes from the top. Like everything else in Hong Kong, the trip to the Victoria Peak also becomes more fascinating during the evening. 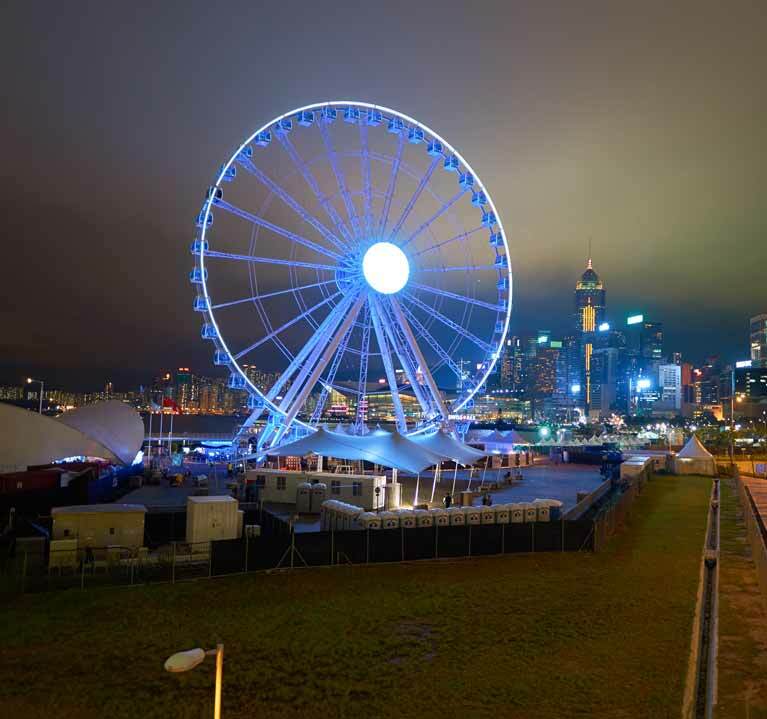 The glittering and shimmering lights around the harbor will give you a dreamy feeling which you will savor forever. Hong Kong is known for its many heights and Ngong Ping 360 is certainly one of them. 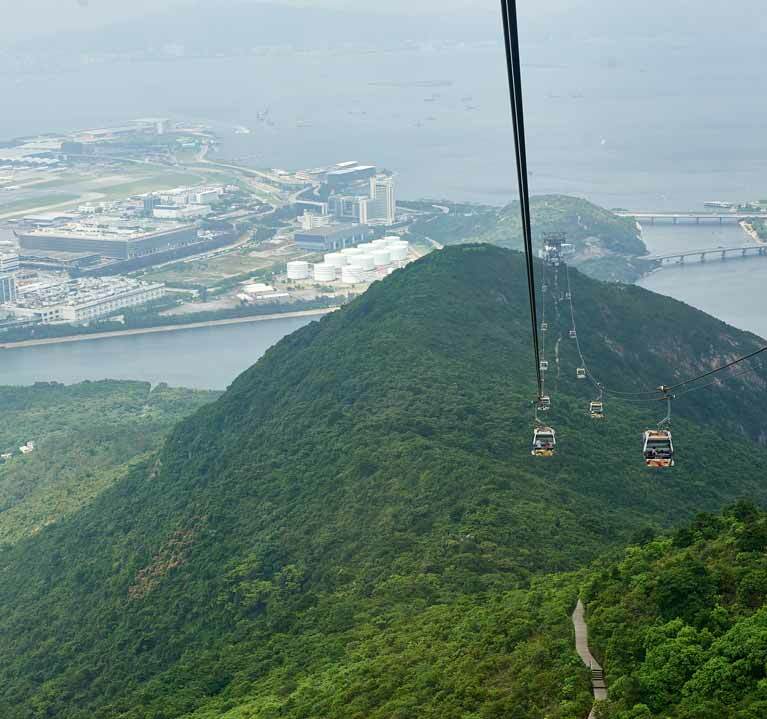 This cable car ride will allow you to enjoy a panoramic view of the Lantau Island as you will certainly get mesmerized by the lush green scenery of this place. 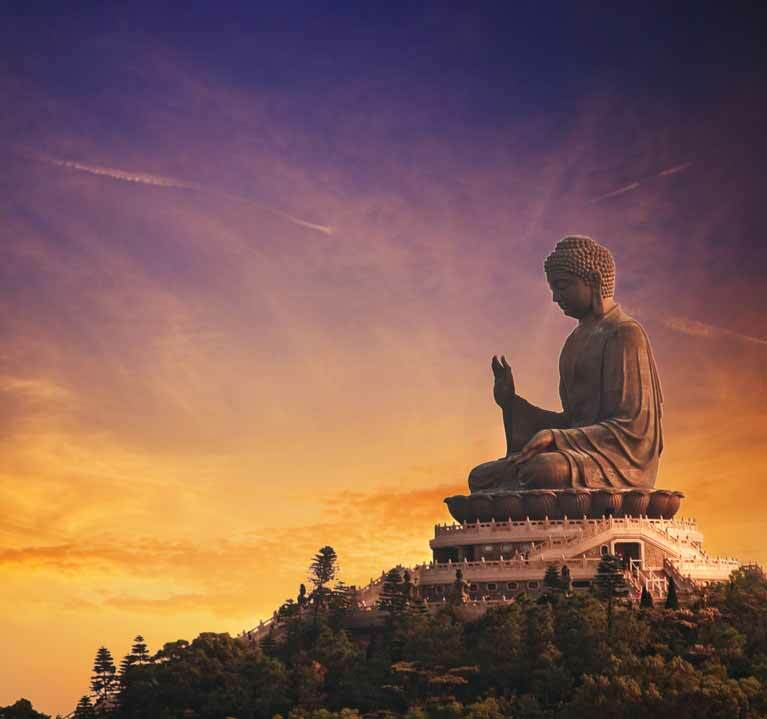 The cable car will drop you near the Tian Tan Buddha Statue which is also known as the Giant Buddha. It is by far the world's biggest bronze statue of Lord Buddha and it took around 12 years to complete this statue. The entire Po Lin Monestary Plaza is considered to be a sacred region and you can also witness the enchanting Shek Pik reservoir along with Hong Kong's fascinating tea plantation region. Thanks to this entertaining region of Kowloon Hong Kong is regarded as one of the most delightful tourist destinations of the world. This indeed is a shopping and entertainment hub of entire Hong Kong as you can witness plenty of foreigners flocking this area from the dawn to the dusk. Browse through the Nathan Road and the Cannon Road of old Kowloon and purchase the latest gadgets and fashion wear from there. 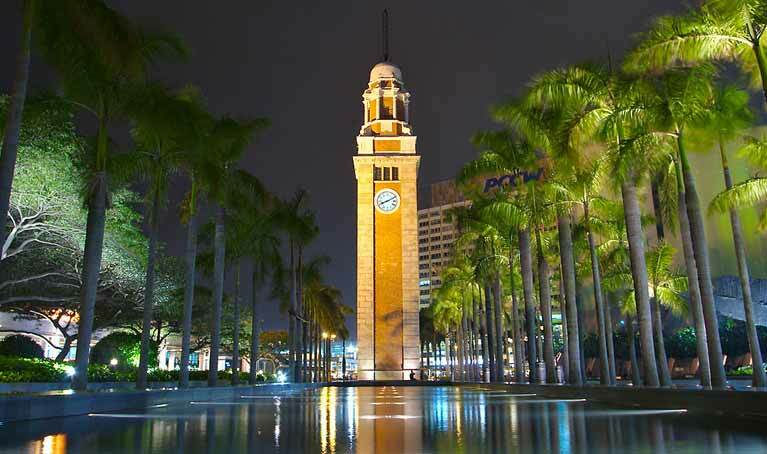 The place is also known for its scrumptious street foods and you must also visit the Kowloon-Canton Railway Clock Tower and the Hong Kong Space Museum in the vicinity. This square has a great significance in the history of Hong Kong as it was built in the year 1997 marking Hong Kong's independence from the British rule, as a colony. 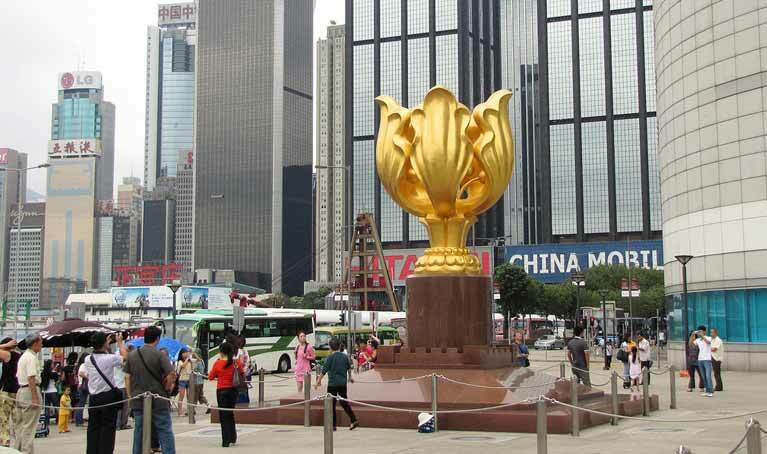 The square is centered on the fascinating Wan Chai waterfront as the Chinese government has built a enormous gilded bauhinia statue to mark the splendid occasion. Since then Hong Kong is regarded as the Hong Kong Special Administrative Region under the Chinese Government. Once you are out there you should not miss out on the opportunity to visit the Hong Kong Convention and Exhibition Centre. A trip to Hong Kong cannot be completed without a visit to the central financial district of the place. All the banks and the financial institutions has Eastern Headquarters set in that region as you can witness the massive building of the Bank of China, which is till now regarded as one of the tallest buildings of the world. Apart from the skyscrapers the place will also lead you to the Hong Kong Zoological Garden and the Botanical Garden. 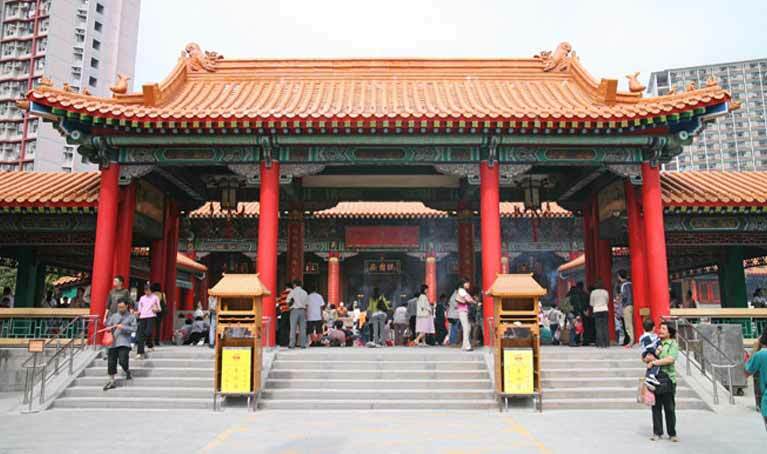 There is also the famous Man Mo Temple, the oldest Chinese Temple in Hong Kong, in the vicinity. 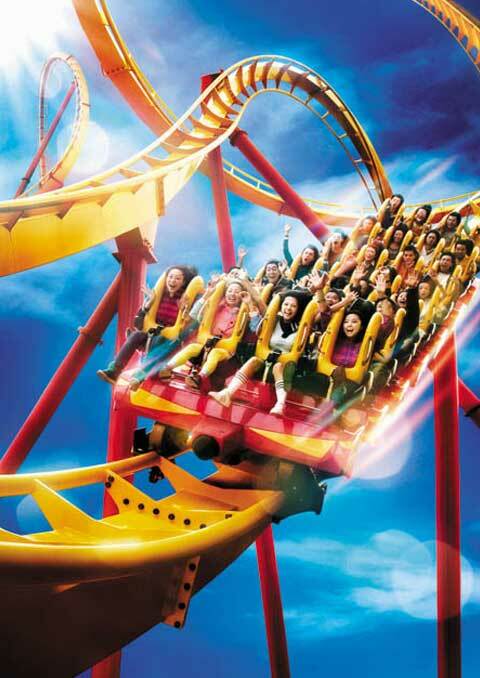 If you and your kids cannot wait to go to the States to visit a Disneyland then you should definitely not miss out on a trip to the Hong Kong Disneyland. This fifth chapter of the Disneyland is another magic-land for families to enjoy. Inside the Disneyland Resort you will find many amenities with which any Disneyland destination is featured. 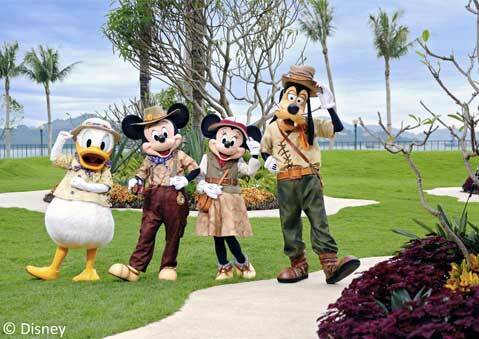 Located in the exotic Lantau Island at Penny's Bay this Disneyland is perhaps the most exotic amongst all. 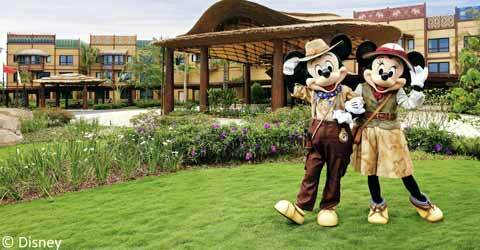 The Disney Characters Parade and the themed sections will give you a day to remember. Hong Kong is not just about its skyscrapers and urban dwellings as there are also some natural landscapes to explore. The Dragon's Back is definitely one such destination which will allow you to come closer to the nature in this enchanting little territory. 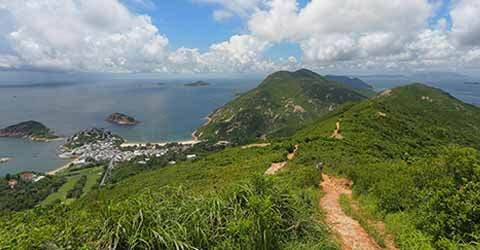 The view of the ocean, from there, is simply heavenly and the trail leads you to the various charming points like the Shek O, the Mount Collison, Stanley, and the Big Wave Way. The hike is comfortable and the scenic appeal is mesmerizing as you can hear the different bird songs on your way. Hong Kong is not known for its beach destination but nonetheless there are some exotic seaside locations which will certainly win you over. 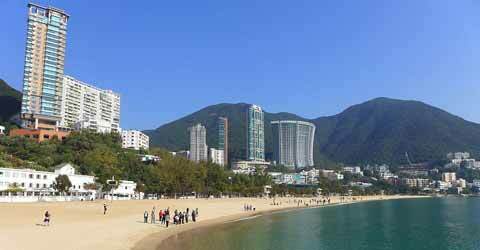 The most popular amongst the beaches is certainly the Repulse Bay which is characterized by its typical oriental appeal. Once you are there you will be welcomed to the Hong Kong Life Saving Society clubhouse and witness the strong colonial influence of this place. The beach also has plenty of shopping and eating destinations and you should definitely a take a day trip to the Big Wave Bay. 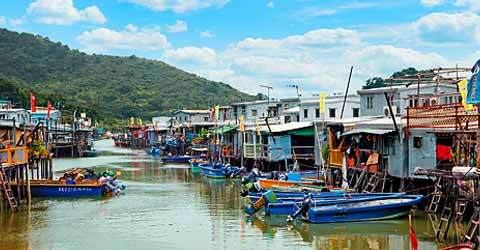 The urban dazzle of Hong Kong will not make you believe that a place like the Tai O Fishing Village actually exists. Far away from the hustling crowd the city life is this charming little fishing village where the villages welcome the tourists with open arms. The community of fisher-folk will allow you to enjoy a fascinating time inside the village as you can browse through the seafood markets and take a boat ride down the sea. It is the perfect place to see the exotic pink dolphins out in the wild as this village rests quitely by the edge of the water. The summers are hot and humid with patches of wet rainfall. So, since the weather is not at all appealing during that season it is unwise to visit then. The ideal time to visit Hong Kong is definitely October to December when the weather is cold and dry. The cruises and the hikes all become more comfortable. The months between September and October and January to March are also fine if you are looking to avoid the crowd, however, post March it really becomes suffocating. High Season: Winter is the high season as far as visiting Hong Kong is concerned because the weather remains dry and cold making it ideal for travel. Shoulder Season: Spring and autumn are considered to be the shoulder season as the crowd is less during that time. However, you might encounter odd patches of heavy rainfall during that season. Low Season: Summer is the low season for traveling to Hong Kong. People who are traveling for work only visit the place during that time. It is not at all comfortable as the humidity is quite high. You will be spoiled with options if someone asks you to choose a flight connecting India to Hong Kong. Almost all the major airlines flies daily to Hong Kong, throughout the year. Starting from Air Asia to Cathay Dragon, from Cathay Pacific to Air Asia you can find more than 100 options before you narrow down on your choice. There is Thai Airlines, Thai Smile, Malindo Airlines, and Singapore Airlines flying people from India to Hong Kong on a regular basis. 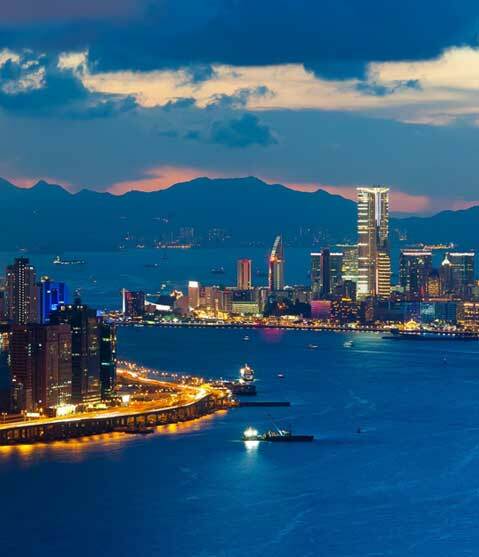 Once you reach the Hong Kong airport you will have options to go to the Mainland China along with several other islands scattered all across Hong Kong. The multi-cultural and multi-lingual province of Hong Kong has a very vibrant culture with fabulous theme parks and enchanting ocean view. There are peaks where cute little trams will take you and there are cruises which allows you to see the rare pink dolphins. 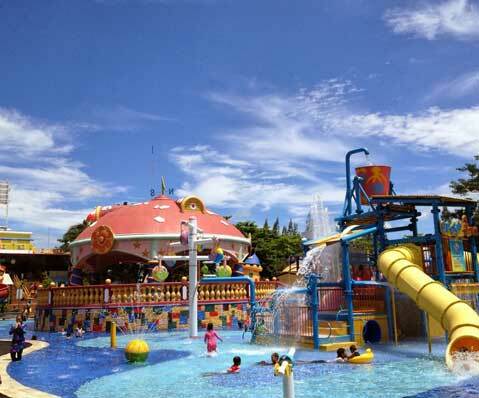 Once a British colony this place has a wide mix of entertainment sources which will make your trip fun and exciting. For any travel enthusiasts of India it is almost a crime to miss out on a trip to one of the most exotic and most affordable Asian destinations. Hong Kong is one of the most accessible destinations for the Indians and it can be reached in only a few hours. Hong Kong is also one of the most affordable foreign destinations for the Indians as it allows us to enjoy a lovely trip without burning a hole in our pockets. 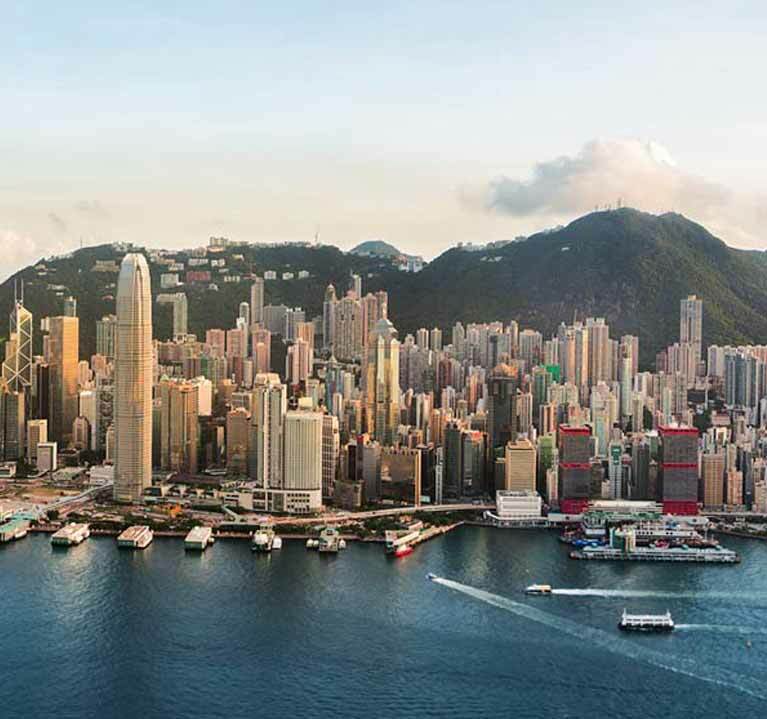 Hong Kong is one of the most dazzling urban hub with prominent western influence and it allows the tourists to enjoy the best of both the worlds. 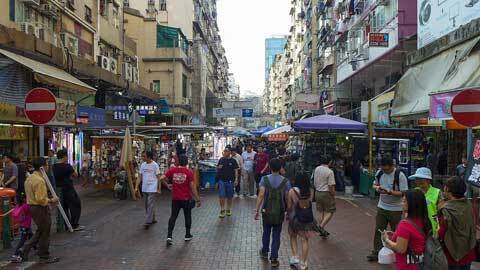 Hong Kong has some fascinating gadgets market from where you can purchase cheap and fancy electronic gadgets. Hong Kong offers a beautiful view from the Victoria Peak and the charming colonial influence makes it even more enticing. The Star Ferry cruise to Kowloon will certainly be a trip to remember forever, especially if you travel during a nice winter evening. Hong Kong is a very popular shopping destination and from fashion-wear to exotic stones you will get many things that you can carry back home. Hong Kong is the only place where you can see the endangered pink dolphins and a glimpse of such exotic creature is an opportunity of a lifetime. 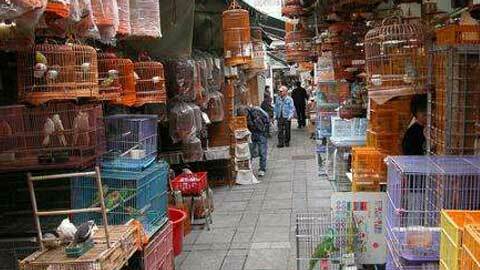 Hong Kong's song-bird and goldfish markets are something to cherish for tourists as it is almost as good as a mini-zoo. 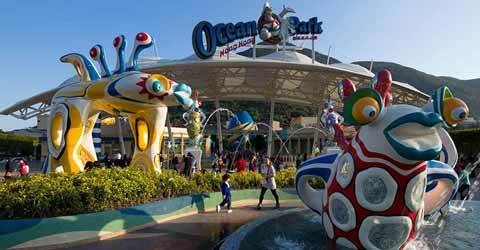 The Ocean Park theme park of Hong Kong is home to one of the largest aquariums in the world and the park is also the home to many giant and red pandas. Hong Kong also has a proper Disneyland and it is the closest Disneyland to your home. 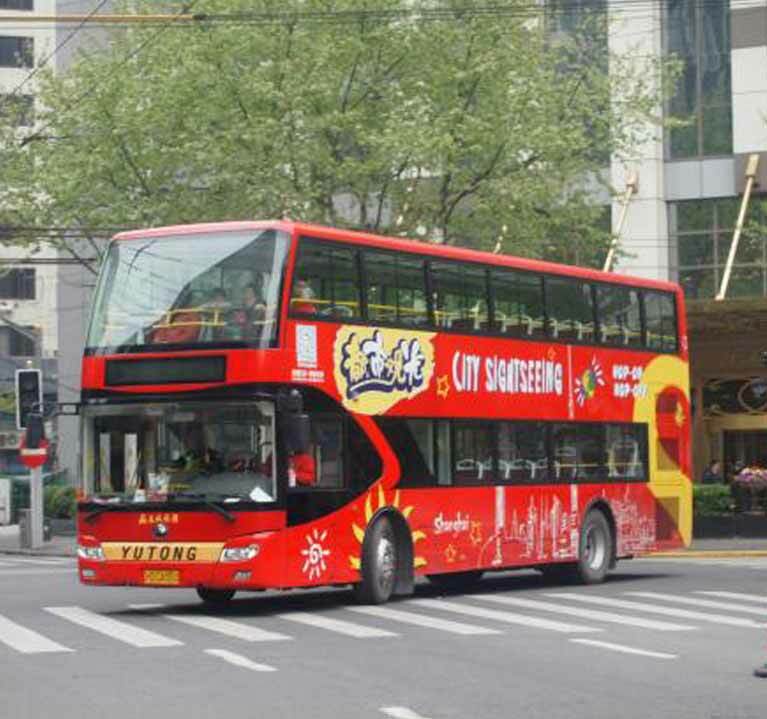 Hong Kong has an excellent domestic transportation system which helps many tourists and business-people to reach their destinations on a regular basis. Starting from the subway metro the buses, the various taxis to the ferries, the roads, tunnels, and the water are always busy in Hong Kong. In fact, some suggests that Hong Kong traffic is busier at night than during the day. 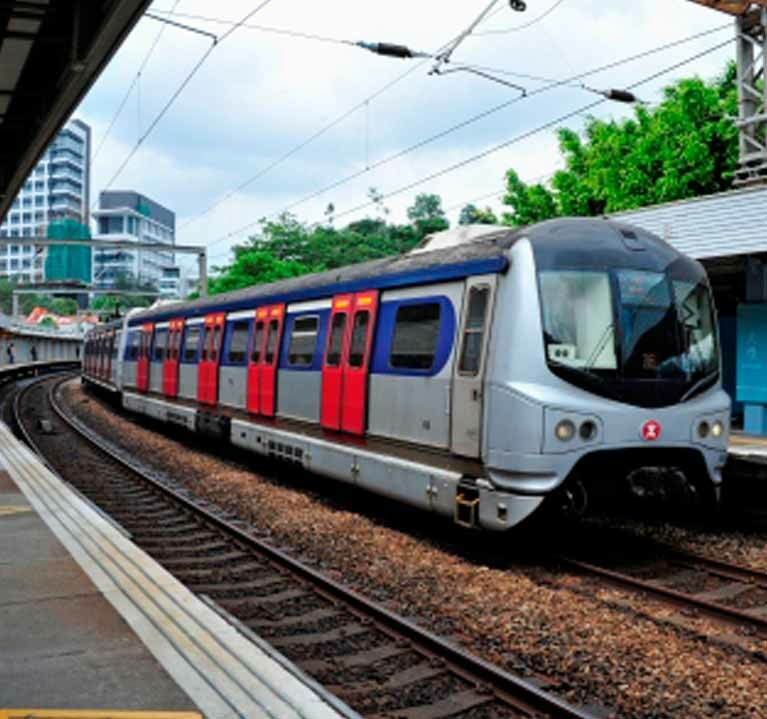 The MTR is a very popular and well-connected subway network of Hong Kong which helps passengers to travel from one island to another within no time. There are 11 connecting lines in total and this network is regarded as the most affordable and effective means of commute in entire Hong Kong. There are plenty of buses available in Hong Kong taking people from part of the city to another. Some of the buses will also help you to reach the bordering beaches and fishing villages. The buses are a bit expensive when compared to the MTR network but they are all air-conditioned and very comfortable indeed. 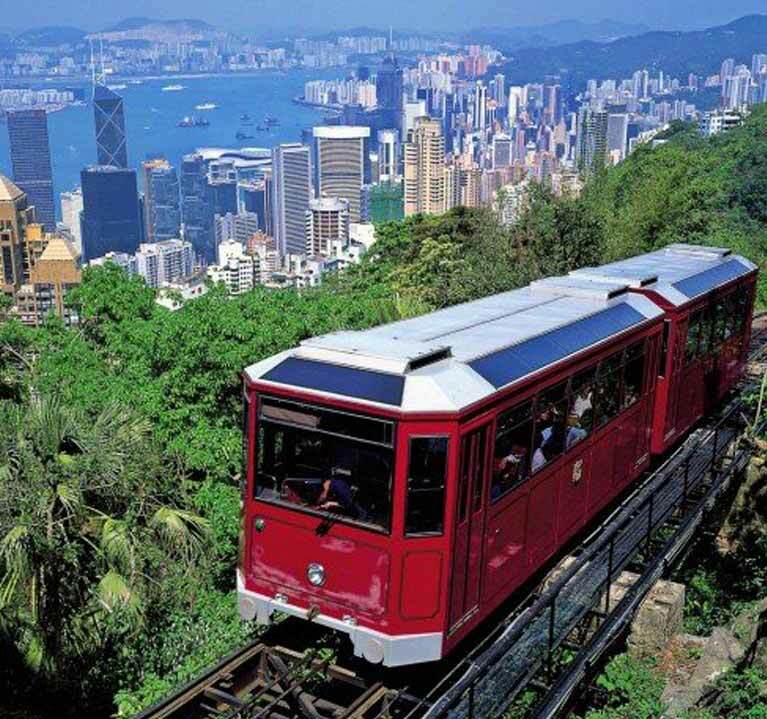 There are specialized trams which take passengers to the Victoria Peak and these trams often offer a delightful view to the tourists. Riding a tram in the evening is more enjoyable as you can see the different parts of the city shimmering with lights, as you climb-up. Besides the peak tram there are also regular trams available all across the country. There are also various ferries which takes passengers from island to another. Due to its vast waterfront the people of Hong Kong depend on these ferries by a great extent. 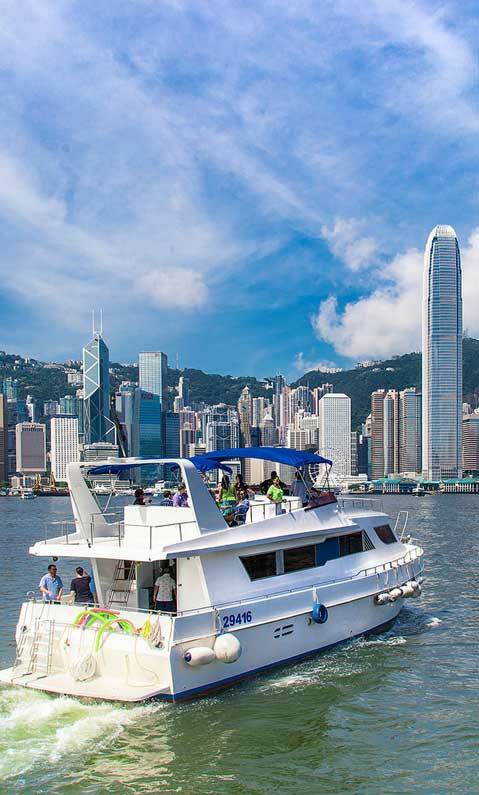 The ferries, like the Star Ferry, will take you on a nice and charming cruise to Kowloon. Hong Kong experiences a similar kind of weather like India. The summers are very hot and humid with temperature reaching above 30 degrees Celsius. The weather remains very wet during this time whilst there are also incidents of occasional rainfall in patches. The springs are relatively cooler but short-stayed whilst monsoons are more prominent. The weather starts to improve from the month of September with the temperature lingering in the 20 degree Celsius zone. The winters are chilly and dry and ideal for traveling. There are almost no rainfalls during the winters making it the best month for the tourists. Throw in light-jacket, sweaters, trousers, and denims if you are traveling during the winter. If you are planning on hiking down the Dragon's Back trail then carry your equipment accordingly. Also carry some shorts and t-shirts because the weather is quite warm during the days, especially if you are going to beach or taking a cruise. Carry your sunglasses and sun-creams to protect yourself from the sun. Also take two kinds of shoes, one for the morning when the temperature is higher and a boot for the evening. If you are traveling during spring or autumn then you should also carry an umbrella in case of the sudden rainfall. Due to its cosmopolitan appeal Hong Kong boasts a wide variety of restaurants and eateries, spread all across the territory. 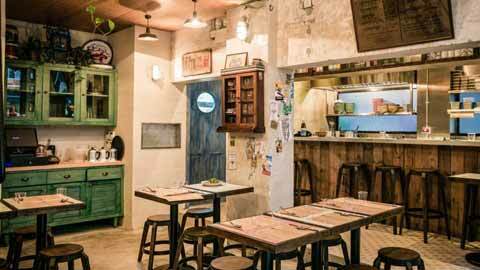 The places has a huge colonial appeal which is completed well with the Cantonese style cooking. Starting from dim sums to green tea, the restaurants offer a wide range of delectable menus for the tourists to come and choose. 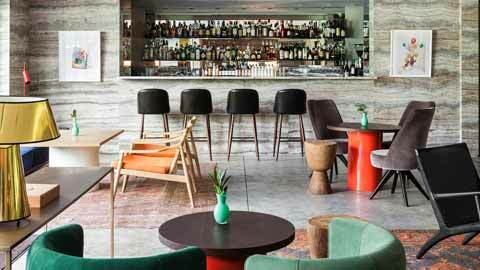 The aesthetics of the place will charm you whilst the food will win your heart. 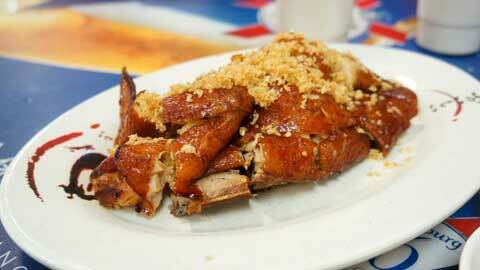 The cuisine of Hong Kong is not entirely Chinese and it is also not entirely British. 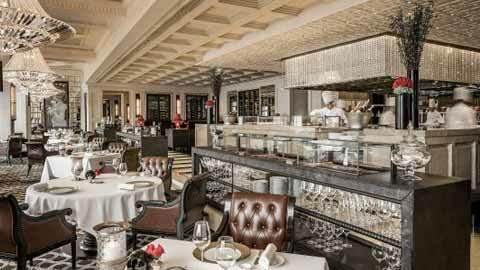 With a deep-rooted Cantonese influence Hong Kong offers a unique blend of food which truly original to the region. Hong Kong gained its freedom just back in 1997 and still you can find a number of British and European people staying there on a regular basis. 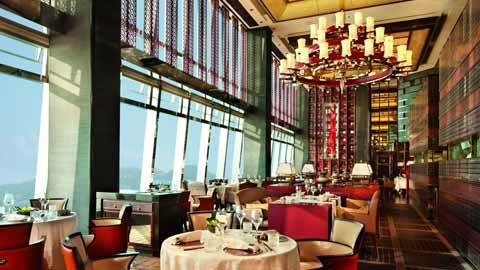 As a result the overall culinary scene of Hong Kong has evolved in a different way when compared to the rest of China. 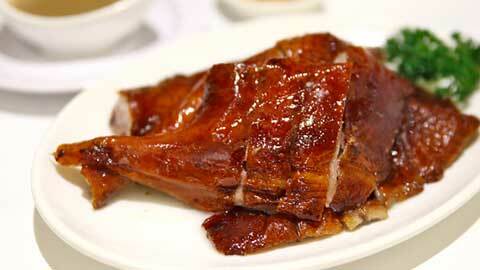 Roasted Goose: This Cantonese delicacy is indeed very popular in Hong Kong. This whole-roasted bird is sliced and served with sauce. 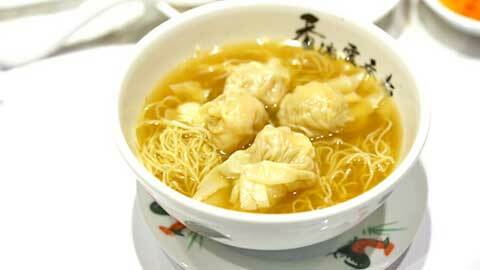 Wantons:One of the finest of the Cantonese dim sums is a very popular comfort food in Hong Kong. 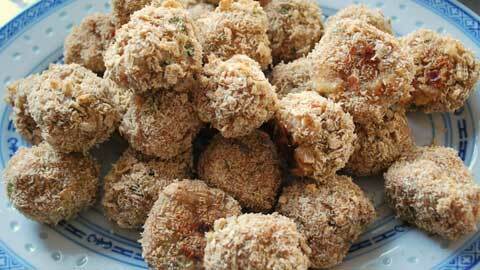 This deep-fried delicacies are found with different stuffings all over the region. 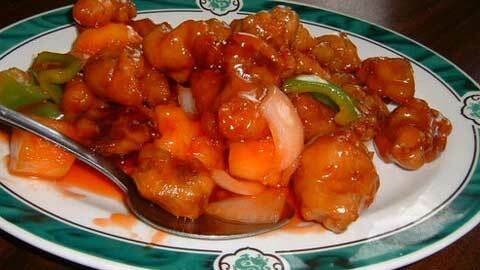 Sweet and Sour Pork: One of the most popular Hong Kong diet is now a very famous Chinese take-away food all over the world. The succulent meat of the pork along with the tangy flavor of the sauce makes it perfect. Dragon and Phoenix Balls:The name might sound odd but they are basically deep-fried chicken and shrimp balls which are loved by the Cantonese and others. Wind Sand Chicken:A dish that originated in the Guangdong district of China is now a very popular part of the menu in Hong Kong. It is basically a whole chicken flavored and roasted till the skin turns brown. A country which was once famous for its night-time markets is now left with only the Temple Street Night Market as an sole example of that cult. 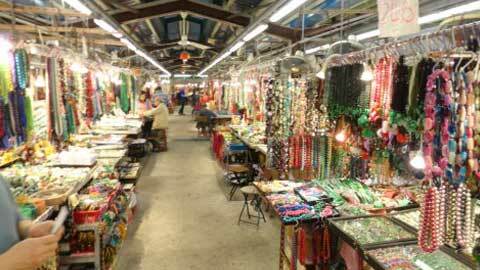 However, Hong Kong can still boast its long range of themed markets which attracts thousands of customers from around the world. Some of these markets are so appealing that various travel and food bloggers spend entire months covering them in their respective websites. The markets are appealing and colorful and it is like entering a different world altogether. As a self-administered region Hong Kong has a separate currency when compared to China. It is called the Hong Kong Dollar. Hong Kong is a very professional and well managed zone and they do not accept any other currencies. As a big shopping destination Hong Kong accepts all sorts of international debit and credit cards. However, some of the markets do not accept card payment and for that reason you need to carry some currency. You need cash for tipping and do not trip above 10 or 20 Hong Kong dollars. In case you need to hire a taxi then also you need to pay by cash. However, do not tip a taxi driver. For a week's trip to Hong Kong you need to have as much as $5000 HKD in total including your food and hotel fees. As an Indian you need to fill-up an online pre-arrival visa registration form to Hong Kong and the results of the same are instantly displayed. The passport must be valid for a minimum period of 6 months beyond the dates of intended travel. The visa on your arrival will be applicable for a maximum stay of 14 days only. If you wish to travel to Mainland China after that you need to apply for a separate Chinese Visa, beforehand. 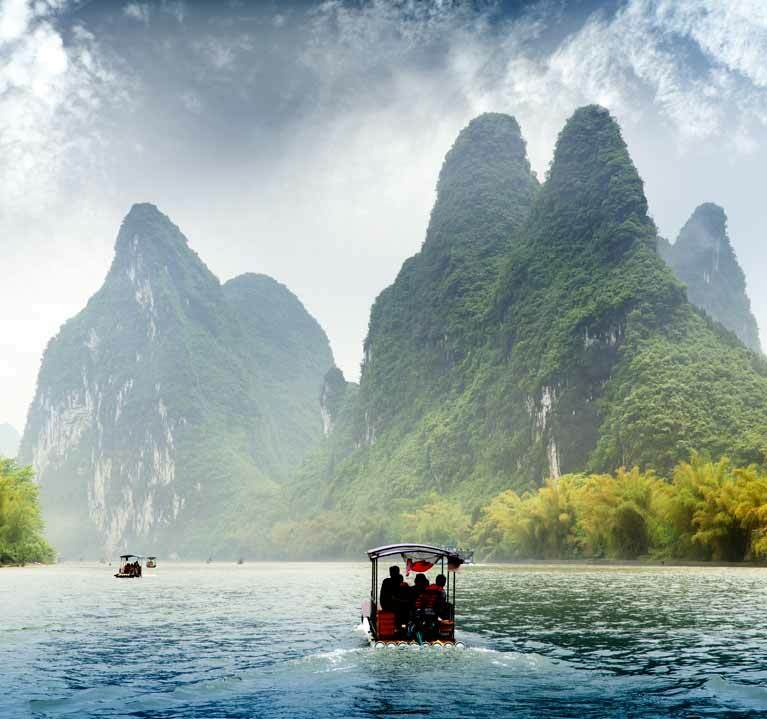 However, there are some places within the Guangdong Province (Shenzhen, Canton / Guangzhou, Zhuhai) where your tour operator can assist you to get a group visa valid for a maximum of 144 Hours, subject to the condition that a minimum of two people travel together on the same itinerary, and all arrangements, including tours, hotels etc, are done through the sponsoring tour operator only. In case the online pre-arrival registration is unsuccessful, then you need to apply for a visa directly with the Hong Kong Immigration department. The downloaded application form duly completed, along with the visa fee of HKD 190 (bank draft payable at HKG), must be sent to Hong Kong as the Chinese Embassy in India will not accept such applications. For more details, please visit the official website of the Hong Kong Immigration Department. Rarely do any violent incident happens in Hong Kong but there are some rare occasions where robbery, theft, and pick-pocketing are targeted towards the tourists. Whilst traveling via public transportation especially the bud or the subway you need to be very careful about your possessions. Make sure that your wallet and your camera are tightly attached to your garments and nothing can really be snatched away from you. Even if you have withdrawn a large amount of cash, keep them in your hotel before traveling because you might risk losing everything at a go. Avoid going to the isolated places at night because there some infamous Hong Kong mobs in operation by the harbor. The land of song-birds, pink dolphins, and exotic orchids celebrates traditional festivals with food and fun. Hong Kong is not just a dazzling urban hub full of skyscrapers but it also a very rich natural forestation spread across its different parts. 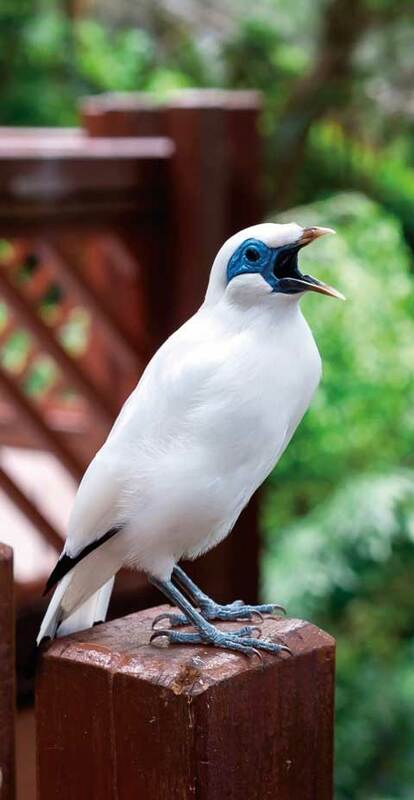 The country parks and the coastlines are home to all the different kinds of plant and animal species. Hong Kong boasts almost 3000 different kinds of flowering plants including many orchids and native tree species of China. The unspoiled beauty of the place allows many dragon flies and butterflies to grow as Hong Kong houses almost one-third of the entire bird species of China. Larger animals like bears and deer are also available in Hong Kong as some of the National Parks houses some exotic varieties of red pandas and giant pandas. Due to its huge coastline Hong Kong is also home to many marine animals and the endangered pink dolphins are the certainly ones to win everyone's heart over. Apart from that there are also several civet cats, bats, and salamanders which can be sighted during some treks up the hills. 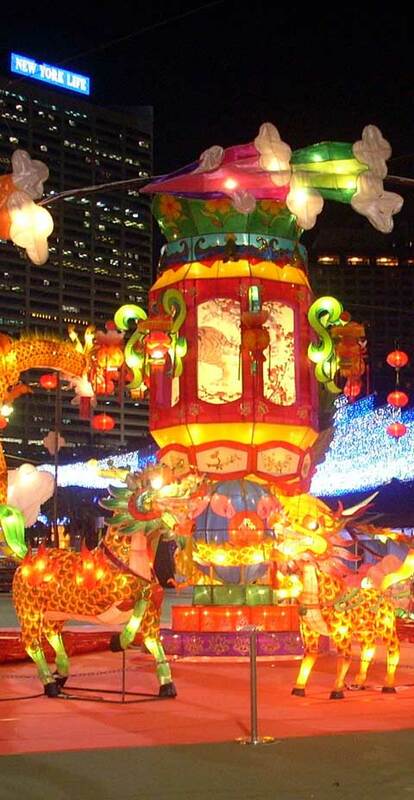 Hong Kong celebrates most of the major Chinese festivals including the likes of the Chinese New Year and the Dragon Boat Festival. However, being an independent territory and a unique culture Hong Kong also has some celebrations of its own. 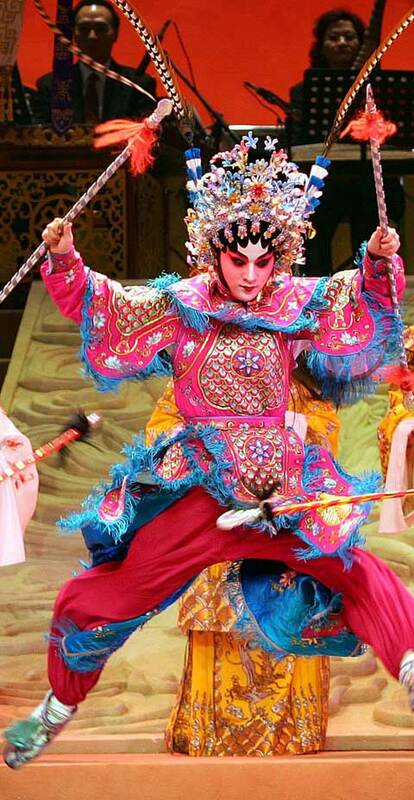 The Tin Hau festival is very popular in the region because of its strong maritime culture. For those who do not know Tin Hau is the Chinese goddess of the sea and the people of Hong Kong worship her by a great extent. The maritime festivals of Hong Kong does not only stop in the celebration of the Tin Hau temples but also through the Cheng Chau Bun Festival held in the different fishing villages of the place. Celebrating the Taosit God Pak Tai this festival is about making the traditional Cantonese sweet buns and also entering into various bun-making competitions. The culture of Hong Kong is richly influenced by the British as well as the Cantonese. Cantonese is the most prevalent culture of the region as the people still rely on strong family bonds and traditions. The soft and sober natured people of Hong Kong believe in the values of the families just like us Indians. Chinese and English are the official language of the place as people mostly speak Cantonese, Mandarin, and English. The people of Hong Kong are very hospitable in their approach and since English is easily understood and spoken, communication with the tourists is not a problem for them. In some part of the province you can still find strong British influence as many westerners still reside in Hong Kong.